What's the difference between PG and VG? : The Electric Tobacconist Ltd. When it comes to e-juice, two terms constantly crop up: PG and VG. This can seem confusing to the newcomer, but basic knowledge of these two ingredients can vastly improve your vaping experience. In simple terms, PG and VG are the odourless liquids that are combined with flavour and nicotine to create e-juice. They produce vapour when heated, which allow them to be inhaled. The two fluids have a different consistency to each other, and also have a slightly different taste. They have distinct mouth and throat sensations when vaped. Most e-liquid uses a combination of the two fluids, though the ratio can vary dramatically. Some vaping set-ups can only work with a certain level of PG and VG. Choosing the wrong PG/VG ratio can put first-timers off so be careful to choose the right level for your equipment. 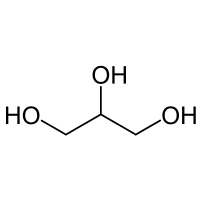 An abbreviation of Propylene Glycol, an organic compound with the chemical formula C3H8O2 and a diluent used in nearly all e-liquids. PG is thinner than VG, and is the most common fluid in which nicotine and flavorings are suspended before mixing into e-liquid. PG has been deemed by the FDA has "generally recognized as safe" and is found in many household items such as nicotine inhalers, toothpaste and other oral hygiene products, pet food, beauty products like make-up, shampoo and baby wipes, medical products such as asthma inhalers, topical formulations, oral and injectable meds and vitamins (used as a stabilizer). How does PG affect e-liquid and vaping? Thinner consistency - because of it's almost-water-like consistency, PG-heavy e-liquid is easily absorbed by the wicks of tiny atomizers found in the smallest e-cigarettes like ciga-likes, vape pens and smaller pod mods. Stronger "throat hit" - PG produces a stronger sensation in the back of the throat similar to what you feel with tobacco cigarettes. Does not affect the flavour - PG is flavour and odourless, so it has no effect on the flavour of e-juice. Less residue - because of its low density, PG doesn't build up on the heating coils as fast as VG would, meaning your coils will generally last longer. Allergy risk - although very rare, PG has been known to cause allergic reactions and symptoms such as a tingling sensation in the throat, skin rashes and other irritations on the body. This only affects a very small percentage of people, but if you do experience symptoms stop using it immediately and look into switching to VG-heavy e-liquids. 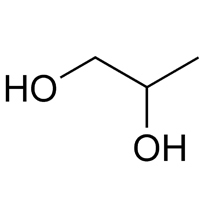 An abbreviation of Vegetable Glycerine, or Glycerol, a common diluent in e-liquid. VG is thicker than PG and is slightly sweeter. Sub-ohm e-liquids tend to contain a higher percentage of VG due to its ability to produce larger amounts of vapour as opposed to PG. Vegetable Glycerin has also been classified by the FDA as "generally recognized as safe". Much like PG, VG has many medical, food and personal care uses such as a sweetener as a sugar replacement, make-up, bubble bath, aftershave, deodorant, pet food, hand cream and soap, baked goods to increase moisture, to increase thickness of gels, creams, capsule pills and jellies, in toothpaste and other dental hygiene products. How does VG affect e-liquid and vaping? Thicker consistency - VG is a lot more viscous than PG and has a slower absorption rate for atomizer wicks, which is why large tanks used with Box Mods tend to have larger wicking holes to effectively absorb the thicker liquid. Sweeter - VG on its own has a slight sweet taste to it which also sweetens the e-liquid. It doesn't carry flavour as well as PG and makes flavours slightly harder to detect. High-VG e-liquid tends to have a little more flavouring added to it to counteract this effect. More residue - because of its higher density, VG tends to build up on the coils quicker, meaning you need to clean your coils or replace them more often. Less "throat hit" - when vapourized, VG is a lot smoother to inhale and you won't notice as much of a throat hit and users tend to rely on the nicotine for that sensation instead. More vapour - due to its thick consistency, VG e-liquid produces significantly more vapour and is less prone to cause irritations or reactions. High PG e-liquid works best in small cigarette-style and vape pen e-cigs due to the small nature of the coils and wicks. The best of both worlds. Generally speaking, 50/50 e-liquid can be used in all types of kit. In some cases 50/50 e-liquid can be prone to leaking out of sub ohm kits and larger tanks that have larger wicking holes, but if you're ever unsure, 50/50 can be a good starting point. High VG e-liquid works best in larger e-cigs and Box Mods as these are designed to produce large amounts of vapor and their wicks can efficiently absorb the thicker e-liquid.